Six weeks after the season began, Bexhill United Football Club is poised to finally contest its first game on home turf. 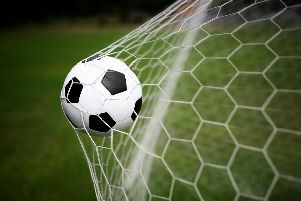 With The Polegrove having now changed hands from Bexhill Cricket Club, the footballers will take on Mile Oak in Macron Store Southern Combination Football League Division One today (Saturday). Kick-off is at the earlier time of 2pm. Bexhill manager Ryan Light said: “It’s been nine games in a row (away from home). We’ve clocked up a lot of miles and it will be nice to get back to The Polegrove. Bexhill are fourth in the table having picked up 11 points from their six league matches so far. Craig Ottley and Ryan Harffey will be back, and Bexhill are hoping Gordon Cuddington and Drew Greenall will be fit. Georges Gouet is away, Lewis McGuigan is also missing and Kyle Holden is still suspended.